Teachers know how to reduce violence in our schools. Employees know what will help them perform better. Your alumni know the field. Academic scholars are familiar with best practices and global trends. Your colleagues, budget managers, and accountants are your partners. They have knowledge worth collecting. Service recipients, citizens, employees, managers, nonprofits, cities. Residents, legislators, policemen, local organizations, business owners. Current & former clients, contractors, employees, managers, leaders. Current & former members, leaders, providers. Service recipients, employees, managers, board members. Add or delete stakeholder groups: Enter a project on your site, go to the admin interface, and click “Groups” on the left-side menu. Here you can add a new group or delete existing groups. When you delete a group, its members will be moved into the default group. Add or remove members from groups: Enter a project on your site, go to the admin interface, and click “Groups” on the left-side menu. Select a group to invite new members or to remove existing members. When you remove a member from a group, that member will be moved to the default group. Merge groups of stakeholders: Enter a project on your site, go to the admin interface, and click “Groups” on the left-side menu. Click "Merge Groups," then select the groups you would like to merge. Enter a new group name. What is the benefit of managing users in groups? Grouping enables your site to better engage different groups of people in order to generate new thinking. In addition, allocating members to groups enables you to monitor the source of the insights (who said what? ), track patterns of participation, and communicate differently to various stakeholders. How can I merge groups together? Enter a project on your site, go to the admin interface, and click “Groups” on the left-side menu. Click "Merge Groups," then select the groups you would like to merge. Enter a new group name. What happens to members when you remove them from a group? When you delete an entire group or remove individual group members, the members will remain in the project. However, they will be reassigned to the default group. You will not be able to restore the original group; this action is irreversible. After you launch a project, you can invite participants through various channels by using the admin interface. You can only invite participants after you have launched your project. You can invite participants via email. Simply copy & paste your list or upload an Excel file. If your project is closed for “members only,” this is the only way to add participants. You can pose your question via SMS, so that participants can reply by using their mobile devices. Send us your lists and we will set things up for you! If your project is open to everyone, you can share the invitation on Facebook. Facebook allows you to promote your posts among different audiences (by age, profession, address, interests, or pages). If your project is open to everyone, you can share the invitation on Twitter. We recommend adding relevant hash tags (#) and tagging friends. Twitter enables you to promote your posts to different audiences (by age, location, or interests). You can integrate a pop up invitation on your website with your profile picture, asking visitors to give you advice. We recommend doing so in relevant pages. Another option is to integrate banners with a direct link to your site. You can generate a short link to your project, copy it, and share it with various lists (via email, as part of a digital campaign or during an event). Note: for “members only” projects, only registered emails can get in. An ad campaign over the internet or a humble investment in PR will enable you to expose your project to broader audiences. You can publish the project URL or generate a QR code. You can also publish selected answers, and later, the decisions that you made. Along with using digital channels, you can collect advice without even asking your participants to log in. You can add comments from live engagement events with stakeholders directly into your project. Calling stakeholders is expensive, but it works. We recommend using an introduction such as, “Hi… I’m calling on behalf of … to get your advice on …” You must get the participants’ approval before posting their answer(s). You can import their advice via the “add answers” interface. Gathering a diverse group of 20-40 people for a roundtable event is one of the most effective methods for gathering productive insights and leading change. See below for more information on using the event management interface . A large crowd gathered in one location, such as a conference, is a great opportunity for engagement. You can text or email participants before, during, and after the event. You can also enter participant responses onto your project site in real time, and present key highlights from the advice you received on overhead conference screens. Sometimes, arranging one-on-one meetings creates the most important channel for gathering advice from senior executives. If approached personally (not digitally), executives are often willing to help. With their permission, you’ll be able to import their answers via the “add answer” interface. After you upload a list, the system will first validate it. We will present you the errors before the final file is submitted. You can either fix the errors or skip the rows (which means some users won't be imported). You can upload users with email addresses that already exist in your site. These users will be added to your project, and the fields you uploaded would overwrite the existing ones (i.e. if you upload a column of "First Name", the old data attached to these users will be deleted). After your list is verified, you can decide whether to send email invitations to all users, to new users only (i.e. emails will NOT be sent to users who were already in the project) or to none. The “Invite & Share” interface allows you to select all available channels to invite new participants, including sending email invitations, reaching out through social networks, and generating a link to share. Sending an email invitation: Enter the project, go to the admin interface, and click “Invite & Share” on the left-side menu. Select “Send Emails.” After you enter the user details, the user will receive an invitation. You don’t need to define the titles or stakeholder group of these users; only an email address is required. Engaging through Social Networks: Enter the project, go to the admin interface, and click “Invite & Share" on the left-side menu. Under"Social Share" select your preferred social network to launch a separate tab or window where you can share an update on your project. You can also copy & paste the link to the social networks independently. Generating a Link: Enter the project, go to the admin interface, and click “Invite & Share” on the left-side menu. Select “Copy Link” under "Social Share". You may now paste your link in the location of your choice. Note: this link will not work with projects for “members only” if the user is not registered. Authentication check. With which email address does the user identify? Ask the user to click on the user profile picture on the top right-hand bar and check the user email address. If the user is not associated with the appropriate address, s/he should please login. Participation check. Are participants’ email addresses registered with the project? You can search for email addresses by going to the project admin interface and clicking on “groups.” If an address isn’t there, add the user as a participant (see “invite users”). Project check. Is the project in “draft” mode? If the project hasn’t been launched, or its status is “deleted” or “suspended,” participants will not have access to it. You can check the project status on the site admin homepage (see “manage site”). Email us at info@insights.us with your site URL, and we’ll examine and fix any software bugs that may be causing you problems. Site check. Is the site open for all? Go to the site admin, select the “Settings” icon from the top bar, and make sure the correct access option is selected. Note: only site admins can see this menu. Project check. Is the project open for all? Go to the project admin, select “Settings” from the left-side menu, and make sure the correct access option is selected. Note: only project admins can see this menu. If the project access was changed in the last hour (e.g., it was open for everyone only recently), we advise users to refresh their screens. How can you invite participants to a “members only” project? Send them an email invitation through the site. In closed projects, access will be given only to participants who you have personally invited, or to participants that were added via the events interface or from the “add answer” interface. In closed projects for members only, you cannot share information on social networks, and the project will not be shown on the site homepage for other users to see. Additionally, the direct link to the project will redirect to the login screen. Why can’t I forward emails? What does it mean that emails are “linked to my account”? In order to make the authentication process quick and easy, the website generates personal links (with personal tokens) that identify each user (including project and site admin). This personal link will be sent to the user through all phases of the project, including invitations, updates on insights and decisions, and system emails for setting a password. 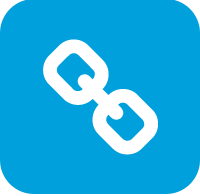 The links enable users to take action on the site under their own user ID, and they expire after a few days. To prevent someone from exploiting an identity, we request that users not forward these messages to others. Insights.US is not responsible for any unintended consequences that result from users applying other users’ credentials from a forwarded link. Can I import and export information via Excel? Yes. You can import users via Excel and send them personalized emails and text messages. The invitations will be merged based on your data, and they will include a personal token that will identify the user without a password. Note: this option is available for paid projects only. Please send us the excel file with separate columns for first name, last name, title to show, email address, and a mobile phone number (if needed). You can also export user lists, answers, and insights via Excel. Get in touch with us at info@insights.us. What happens if you try to invite an existing user? You cannot create two users with the same email addresses. If the user already exists in the process, the system will NOT add the user again but WILL send him/her an invitation to log in. Note: you must be a site admin or operator in order to edit user details. Can you terminate a project? Yes. You can always close a project so that users can no longer add answers, support, or comments (see project phases). You can also limit access to your project by making it “members only.” Alternatively, you can delete the project via the process settings, so that no one can see its contents. You’ve decided to seek advice from diverse groups that can bring value to your decisions. But what will increase their willingness to help? The motives of sharing knowledge are not financial; they range from social norms, like civic duty, to altruism. To make participation from various stakeholders valuable, we need to reduce the cost of participation and increase the benefits. Emphasize in your project text the kind of decision(s) you want to make and how participant advice will help get you there. on the advice they’ve shared. advice with decision-makers. This will make your participants feel like an important part of the process. answers. We will make sure everyone knows you’re active with the project. Participating should be fun. We constantly upgrade our tool, but you’ll want to shorten and simplify your texts, making them accessible and user-friendly to all. There are several ways to minimize the costs of participation. Uploading lists of emails/texts will allow you to send users a direct link to the website (no password needed). Users can also reply directly by SMS. Virtual meetings can spare your participants a commute, and save valuable time. Calling participants creates the “cost of hanging up.” It is the most expensive communication channel, but it can also be very effective. Managing a roundtable with a clearly prepared question, and the possibility of people answering electronically, can save time. We make the engagement as affordable as possible. Getting advice on the web saves money spent on transportation and parking. Before a roundtable, send everyone background data, info, the timetable, & the question that will be addressed. After presenting the question, give participants 2 minutes to write down their advice. Collect the papers at the end! Display the question on the overhead screen, read it aloud to all, and don’t hesitate to revisit it for focusing purposes. To make things run smoothly, explain the rules of the roundtable: who speaks, when, for how long (2-4 min?) and what is added to the site. We recommend having an open discussion; better advice will be generated if people can challenge one another. It works! Toward the end, summarize some key insights and share the next steps prior to making decisions. Get everyone in the loop. LISTEN. The goal is to listen with an open mind, challenge our current thinking, and brainstorm within the field to create new insights. Roundtable participants will exchange many ideas, about which conclusions may not yet be drawn. Think broadly, challenge the mainstream understanding, and be patient with the integration of contents for a later stage in the process. FOCUS. Begin the meeting by presenting the consulting question and the desired outcome. Make sure participants keep the outcome in mind and consider ways to achieve it. When the discussion starts to happen, don’t hesitate to initiate the productive dialogue. Engage - don’t be a stranger! TOLERATE. You may encounter legitimate criticism. Acknowledge it, but don’t turn it into the main topic of discussion. Instead of responding to every claim or arguing with participants, reciprocate by productively seeking solutions. Build the future - don’t focus on the past. A good consulting question will bridge the gap between the participants’ different worlds of content and understanding. Therefore, it is important to focus on the question and constantly revisit it. Avoid slogans, and remember that agreement is not the goal; everyone may take the question in a different direction. Our goal is to inspire collective knowledge, which emerges from the exchange of ideas. The event management interface enables you to manage roundtables, meetings, and events. Here you can create a list of participants, enter answers in real time, and show selected highlights at events such as conferences - directly from the website. Adding an event: Enter the project, go to the admin interface, click “Manage Events,” then click “Add event.” You can define the name, description, date, and location of your event. Check the box if publishing answers from this event requires approval from the speaker or the admins. Adding Participants to an Event: After you’ve created or selected an event, you can explore the list of participants in the event. You can add or delete participants. Note: if the site is closed for members only, only site admins can invite new participants. Adding answers: You can add answers on behalf of the participants in real time. After you select an event, move to the “Add Answer” page and choose the participant to whom you would like to add an answer. Adding insights: If you recognize repetitive themes during the event, you can add insights in real time to the project site without attaching them to highlights. You can then explore the insights in the “All Insights” page. Showing latest highlights: During the conference, you can share and project participants’ latest answers on an overhead screen. We can send an invitation to all participants before an event. After the event, each participant will receive an email with his/her shared answers, as well as a request to edit them or approve them if needed. The “Add Answer” interface lets you add an answer on behalf of a single participant. It was designed so that answers offered during meetings, phone calls, or direct interactions with participants can be manually entered into the project site. Select a participant: Enter and select an existing participant, or add a new participant by clicking “Add New Participant." If the site is closed for members only, you’ll need to be a site admin or operator to add a new user. Adding an answer: After selecting a participant, you can type the answer and add it to your project by clicking "Submit." Once you approve the answer, you can select a different participant and add another answer. The answers will be published immediately. Strategic projects often include several phases. Before launch, we recommend that you outline these phases, starting from the more intimate meeting with high-level decision-makers and ending with the broad outreach to employees or partners. The project outline document defines what to ask, who to ask, how to ask, and when to ask. Start internally. Your managers & employees can help, and they want to know the plan early. Before you reach out to thousands of people, gather a small meeting (5-10 people) with key executives and/or a roundtable (20-40 people) with key stakeholders. Design several stages to keep everyone informed. Each stage should cover a different group of people, until you reach your entire target audience. Those who have formal authority should be approached and informed first about the entire project outline. Arrange a closed meeting and share with them the ownership of the entire project. Different groups require different engagement channels. Facebook is a great channel to engage clients or citizens, but not senior executives. Board members would probably (and rightly) expect a phone call. Our Delivery Unit at Insights.US specializes in planning and delivering complex projects. We invite you to think collaboratively with us regarding your challenge and the best way to tackle it. Feel free to email us at info@insights.us. To whom can participants not say “no” to in your project? If a question is asked, to which figures in your organization will everyone answer? Who has the authority to make decisions? Which figures are recognized as having the power to create change on your issue? Who cares about the project’s success? The project decision-makers need to be interested and engaged. You can appoint up to 3 decision-makers in the project admin. 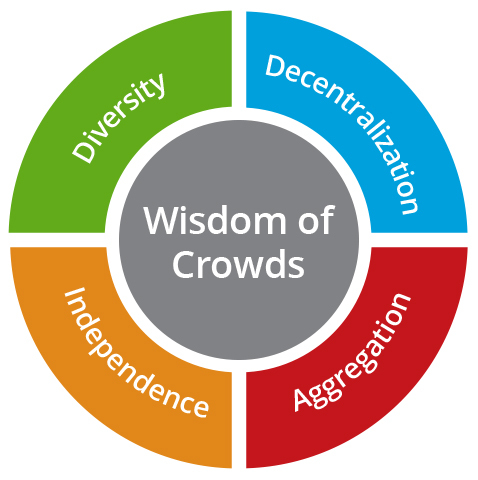 Decentralization requires the knowledge of people from different seniority levels (senior managers, junior managers, and ordinary employees). Diversity requires the knowledge of people from different professions and departments (customer managers, IT professionals, and clients). Independence requires that knowledge to be shared before people are exposed to the ideas and advice of their peers. Aggregation requires the synthesis of all advice into bottom-line insights (similar to pricing in markets and voting in elections).